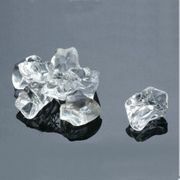 Realistic looking Artificial Acrylic Fake Display Ice. Not just any fake plastic ice! 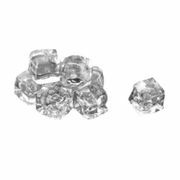 Available as either cubes or chunks, our faux acrylic ice is perfect for stage or theatrical productions and photo shoots. Hand wash.
1" (2.5 cm) square. Bag of 40 cubes. 2 lb (.9 kg). BPA-Free Acrylic. Hand wash.
Assorted sizes. 2 lb (.9 kg) bag. BPA-Free Acrylic. Hand wash.